Once again we turn to Holistic Nutritionist Elissa Goodman for tips and tricks on how to live a healthy lifestyle…. Thanks, Elissa! Someone recently asked me where I want to go on my next vacation and I told them any one of the five Blue Zones. “Blue Zones” are the five places in the world where people live the longest. They include the Nicoya Peninsula, Costa Rica; Sardinia, Italy; Okinawa, Japan; Ikaria, Greece; and Loma Linda, California. We stand to learn so much from the locations were longevity reigns that visiting the people and learning more about their culture sounds pretty fascinating to me. We live in a society where for the first time in many generations life-expectancy is decreasing. In some of these places (the South) this generation is expected to live shorter than their parents for the first time ever, and in some areas as much as a five year drop in life expectancy could be seen. Learning what we can from parts of the world where longevity seems to come more natural is crucial in a world where our environment and lifestyles are more toxic than they were in previous decades. In general, we over consume, we’re lonelier than ever, our sense of community is lacking, and we are less active. In the U.S. there is no incentive in our healthcare system to keep us from getting sick in the first place – in fact, there is more of an incentive to keep you sick! We spend 90% of our healthcare dollars in the last years of our life making our health matter from a financial standpoint – but when you think about it, don’t you want quality of life in your last years as well? National Geographic Fellow and Best-Selling Author of The Blue Zones, Dan Buettner has done extensive research on these Blue Zones. Along with his team of researcher’s, Dan determined that the people in each of these places have nine attributes in common with each other that are associated with their impressive longevity, this group of lessons have been coined the term Power 9 and they quite possibly could be the very attributes to work on to add years (and quality!) to your life in a culture that seems to be working against it. In each of the five blue zones, people are not known for their high intensity workout programs. Instead, they live in cultures where natural movement is extremely common. Their environments encourage them to move often throughout the day without them even thinking about it. They do not have technological conveniences for yard work, so they literally get their hands dirty and tend their own gardens. They live in mostly walkable areas and choose using their body as a mode of transportation on a daily basis. The lesson for us is to get up from our desks and evaluate how we can add more movement into our lifestyle – a walk during lunch or perhaps an outdoor hobby. People in the longest-living areas know how important it is to live for something bigger than themselves. In Okinawa, there is a word “Ikigai” and in Nicoya there is a term “Plan de vida.” Both of these words translate to “Why I wake up in the morning.” I think so many of us have lost our sense of purpose and, clearly, that can be detrimental to our health. Self-care, practices of gratitude and journaling can all help us to connect to our why and our purpose. Dan Buettner’s term “Down Shift” refers to how the people of the Blue Zones manage stress. Each culture addresses stress uniquely, but they all do it differently than most of us Americans. They have a means of shedding their stress, rather than plowing right through or ignoring it. Okinawans take time each day to do a sort of meditation to remember their ancestors. Ikarians prioritize naps. What is one thing that most Americans do each day to reduce their stress levels? I cannot think of one stress reducer that the majority of us do daily, but I do love the idea of adding in 20-30 minute naps or meditations. Even soaking in the tub after a long day or having a relaxation ritual can go a long way. In terms of the 80% rule, Okinawans have a mantra that is said before meals that reminds them to stop eating when they are 80% full. They know that ceasing to eat before they are completely stuffed could be the difference between staying at a healthy weight and gaining unnecessary weight. In all of the Blue Zones, people eat their smallest meal in the late afternoon or early evening and then do not eat again until the following morning. I apply the 80% rule both in terms of feeling full, but also in terms of splurges. If I make room for 20% of my diet to have more flexbility (say homemade pasta or that slice of pizza) I am ensuring that 80% of the time I’m still sticking to what works best for me. Not surprisingly, the people around the world who live the longest adhere to mostly plant-based diets. 95 to 100% of dietary intake comes from plants. Staples of the diet are whole grains, nuts, and tubers. Meat is eaten, on average, only five times per month in Blue Zones and fish about twice per week. The main part of most centenarians’ diets is beans like fava, black, soy and lentil. Eating this way is manageable for ALL of us, I recommend trying out plant-based in steps, first committing to eating this way for lunch, then M-F, and eventually plant-based eating can become the norm with exceptions 1-3 times per week. More surprisingly, in these communities, moderate drinkers outlive nondrinkers, but consumption is moderate at 1 to 2 drinks per day (Sardinian Cannonau wine is best). The trick is to stick to one or two glasses of red wine a day ad enjoy with family or friends, not as a solo activity. After thinking about this, it might be the socializing part of the drinking that makes it so beneficial! The vast majority of the centenarians that Buettner and his team interviewed also belong to a faith-based community. It does not matter what denomination they are, it only matters that they have a relationship with a community that supports them. They also put their families first. They make sure any older family members are kept in their homes with them and they commit to one life partner. 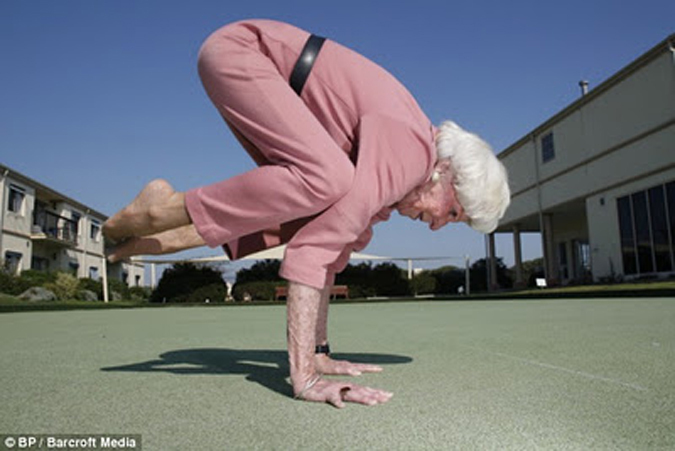 The longest living people are also part of social circles that support their healthy lifestyles. This makes sense since research shows that happiness, loneliness and even obesity are contagious. A common theme in Blue Zone areas is an emphasis on family connection. Children spend time and care for aging parents/grandparents. Committed, long-term relationships with one partner is common. Spending time with children and grandchildren and living close by is also the norm. While this may not be an option because of distance, it is important to note the difference familial relationships make. Working to cultivate your family connection (or creating your “friends are family” group where you are) can go a long way. Social circles that support healthy behaviors are key. In each community there is a support system, meals are prepared together, time is spent together, and communities are often active together. It does in many cases still “take a village”! It can be a little more difficult in our busy lives to build up the right tribe, but if you do a little research you will find everything from monthy vegan potlucks to wellness events being put together all over the country. There are hiking clubs, yoga groups, and running clubs – take a little time to seek out your community and if you can’t find one, why not build one? If you want to live as long as you can and have quality of life, take a page out of Dan Buettner’s book. Ride your bike to work when possible instead of taking the train. Spend time journaling to determine what you want your true life’s purpose to be. Take up yoga and meditation as a means of reducing your stress levels. Try not to eat large meals for dinner and limit your snacking before bed. Move towards a plant-based diet. Become a part of some kind of community and be sure to stay close to loved ones who have a healthy impact on you.